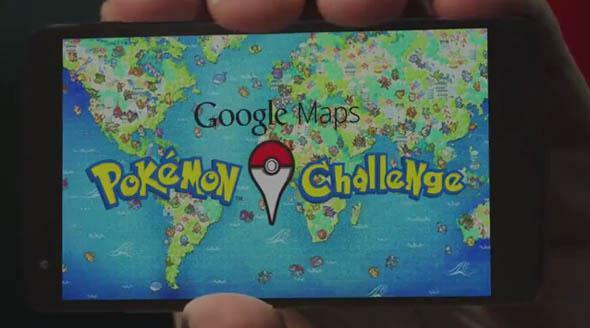 Google Maps’ Pokemon search April Fools joke. You gotta. You just gotta catch ‘em all. Do it for Google. It’s the season for Internet Easter eggs and April Fools jokes, but feel free to live in denial and accept Google’s new Pokémon challenge wholeheartedly. In the iOS and Android mobile versions of Google Maps, a whole Pokémon collecting game is going on—and anyone can play. If you tap the search bar, you’ll see a blue Pokéball that you can use to enter the game. You move around the world (our Earth—not a Google Maps version of the Pokémon world, alas), trying to find 150 assorted Pokémon that include species beyond the original 150. You collect them for your Pokédex, and as it grows you get what appear to be Pokémon statues or trophies. The attention to detail is there: Google HQ in Mountain View has even been replaced with a Pokemon Lab. The trailer is basically the Google version of Pokémon Snap, but better—because this is actually a joke, whereas Pokémon Snap was, inexplicably, a real game. A game I beat many times, sure, but that’s not important right now. The point is that Google needs your help taking Maps to the next level and expanding Pokémon coverage where the Streetview Trucks have failed. This is your chance to be a Pokémon Master. Go forth!